Somewhere in the mangrove forests of Java, a small wild cat might be clinging on to survival. Or perhaps it's already gone, set to join the island's more famous wild feline, the Javan tiger, in the annals of extinction. Either way, conservation biologist Anthony Giordano is determined to find out. The fishing cat (Prionailurus viverrinus) is a stocky, spotted creature about twice the size of your own couch-lounging furball, and you can still find fragmented populations of these endangered animals in parts of Southeast Asia. The Indonesian island of Java is their most remote outpost, home to the world's only known subspecies: the Javan fishing cat. At least, it used to be – there's been no record of the cats here for more than two decades. "Is it the rarest cat in the world? It quite possibly could be, if it's still alive," Giordano tells New Scientist. Giordano clearly remembers his childhood sadness at the loss of Java's long-whiskered tigers in the 1970s, and today, he's hoping that the island's fishing cats can still avoid the same fate. But if the animals are out there, finding them won't be easy. The last survey of Javan fishing cats took place in the early 1990s, when an expedition to West Java found signs of the animals – footprints and faeces – at a total of 41 sites. Like their close cousins elsewhere in Asia, the cats prefer watery habitats, and Java's mangroves have been the perfect stomping grounds. But the past few decades have not been kind to these fragile areas: only around 11% of the island's original mangroves remain today. "Since [the 1990s], many of the wetland and coastal mangrove habitats have suffered dramatic changes due to intensive development and a soaring human population," explains Giordano. "Today, the fate of the species is unknown." 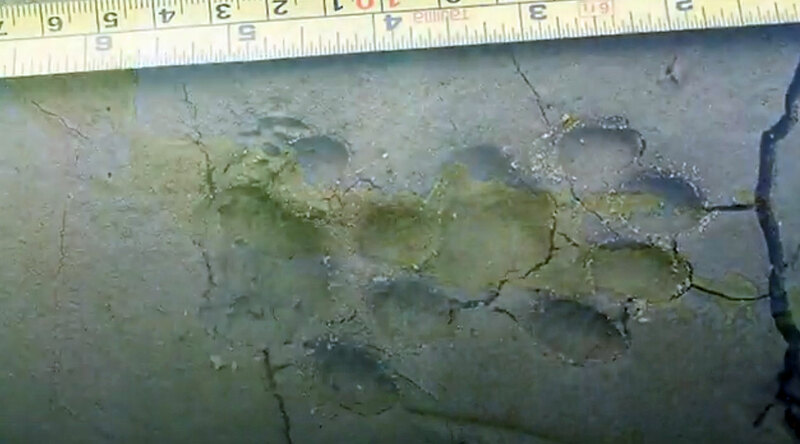 Fishing cat tracks are distinctive because their claws extend past the claw sheath, leaving an impression in the soil. Image: Screengrab/S.P.E.C.I.E.S. To change that, Giordano is planning a new cat-tracking survey, and the project recently reached its crowdfunding goal on Experiment, a platform for funding scientific discoveries. "I have found that many small cats need so much more conservation attention. And this is one of those species," he says. They might not have big-cat clout, but these unique carnivores certainly deserve our protection. With their water-loving lifestyles, webbed feet and water-resistant coats, they boldly defy aquaphobic stereotypes. Unlike almost all other cats, they brandish claws that never fully retract. And for such undersized feline predators, notes Giordano, they have "tremendous pugnacity" – reports say they've been known to hunt small deer and even scavenge tiger kills. "It's a small cat, but don't tell the fishing cat that. It's a really badass cat — they're not to be trifled with,” he says. Sadly, even beyond Java, the future of these amazing animals looks bleak. Across their range, habitats are shrinking, poachers target them for meat and fur, and the proximity of humans puts the cats at risk. "Fishing cats frequently cause conflicts with people where they occur and so are often regarded as a "nuisance" animal, or pest. They're adept at stealing fish from aquaculture ponds, as well as killing poultry like chicken and ducks inside their enclosures," explains Giordano. Now that funding is in place, his survey plans can proceed. Instead of focusing on more expensive and labour-intensive approaches involving camera traps, the project will see the team "retracing the steps" of the 1990s expedition, and interviewing local communities for clues about the cats' whereabouts. The findings will then be used to make recommendations to the Indonesian government about future conservation actions. 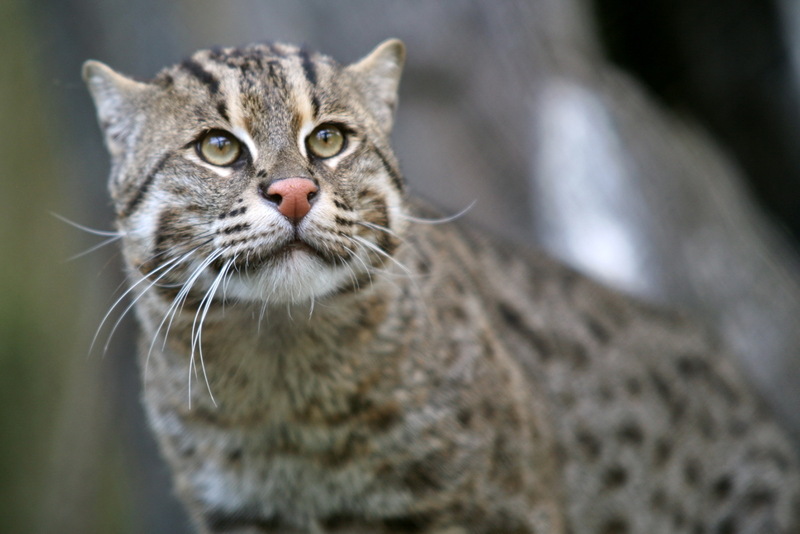 "The Javan fishing cat doesn't have to be another ghostly rumour until the day it is finally gone for good," Giordano says. The Owston’s civet is one of the most elusive carnivores to roam the jungles of southeast Asia. It's also rapidly losing its home ground.